In some old movies the dramatic moment when the hero drives to or is being brought to a house the mystery is accentuated by the distinctive style of the driveway: broken stone and murky roads indicated a haunted house, rows of trees and an never-ending dusty road anticipated an old aristocrat mansion and a serpentine paved driveway lead to a powerful, indecipherable man. Movies teach us the basic in home driveway design: that it must complement the house and its owner and even enhance the “drama”. Of course, in present days, living in a residential area you will want to cut on the drama and just impress your guests with a smooth and graceful arrive to the front door. Surely a dull asphalt driveway heading to the garage couldn’t provide that. There are various ways one can improve and redesign the house’s driveway. Landscape designers suggest to adorn it with mini gardens on each side or to even break the driveway in the middle with a strip of grass. Other decorative driveways feature iron gates, stone statues or paved borders in curved lines. A circular driveway is an elegant addition to a house if there is sufficient terrain. 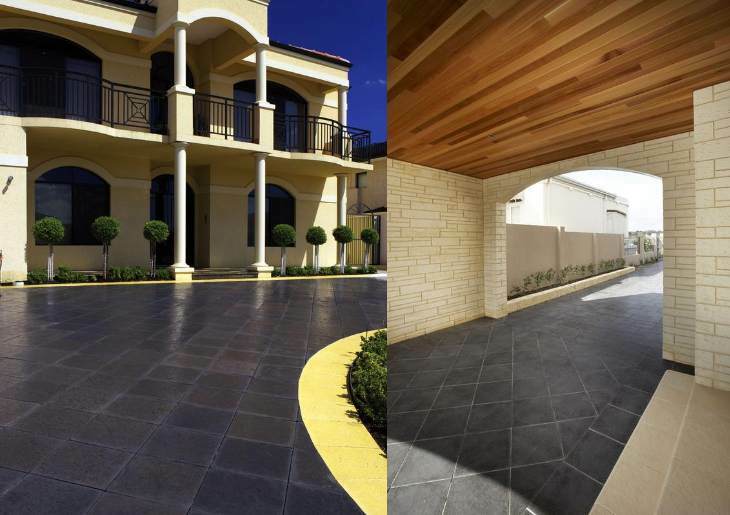 The best option in term of appearance, quality and maintenance is concrete block paving. 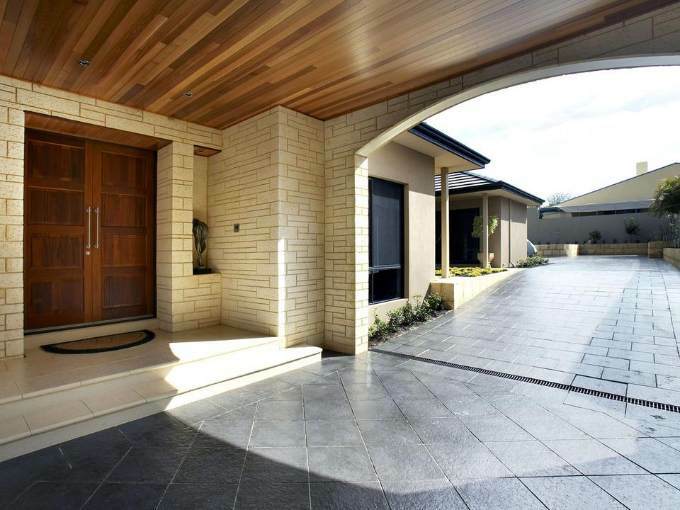 A good example of modern and elegant design is this charcoal block driveway paving from Fremantle stone that makes a pleasant contrast with the cream walls of the house. Using geometry, rhythm, different colors, shapes and textures the driveway can become a unique and beautiful space.